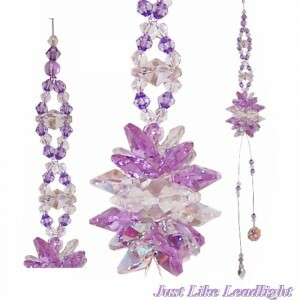 We have many crystal suncater designs comprising of multiple crystal clusters, prisms and spheres. 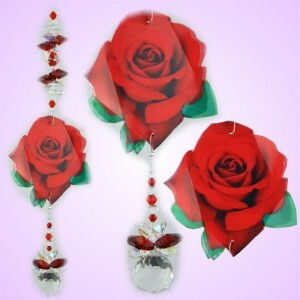 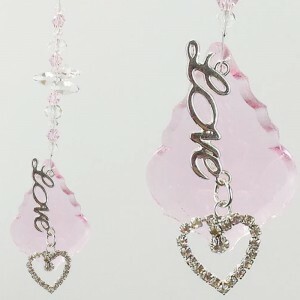 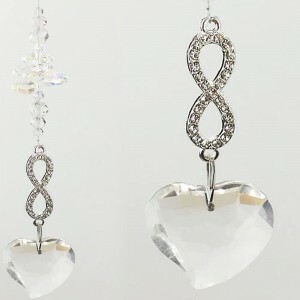 All suncatchers are handmade with love, we have gorgeous crystal sun catcher creations for any occasion. 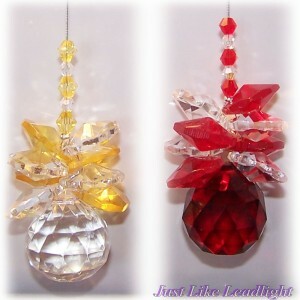 I would love the create a custom crystal design for you. 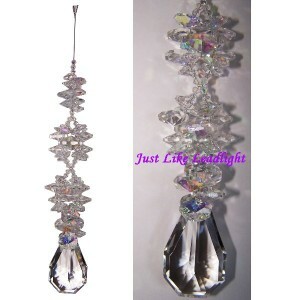 An awesome new design made with all AGRADE crystals in sparkling clear and AB finish. 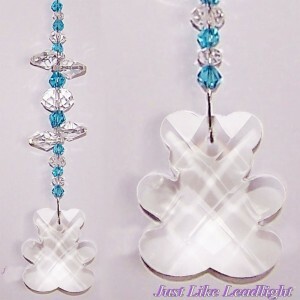 A Just Like L.. 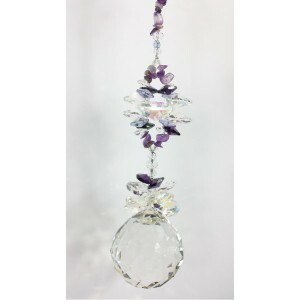 Extra large crystal suncatcher with a huge 50mm clear crystal ball and a massive triple cluster of o..
SIZE- 20mm CRYSTAL BALL with 8 octagon crystals varying 10mm to 14mm size and matching beads a.. 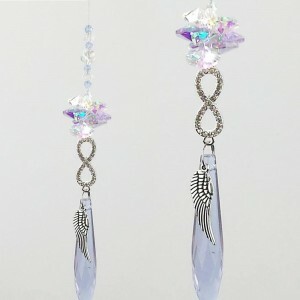 This includes a finished crystal suncatcher. 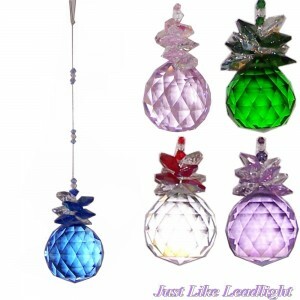 Made with an Agrade 20mm crystal ball and topped with a..
QTY- 1 suncatcher SIZE- 40mm CRYSTAL BALL COLOURS TO CHOOSE FROM- clear, pink, lilac, skyblu.. 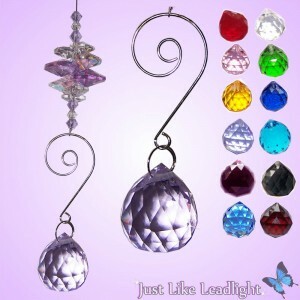 QUANTITY - 7 suncatchers SIZE- 20mm CRYSTAL BALL with 8 octagon crystals varying 10mm to 14mm size..
QTY- 4 suncatcher BPSC007 - BLSC003 SIZE- 40mm CRYSTAL BALL COLOURS TO CHOOSE FROM- cle..
QTY- 1 suncatcher SIZE- 40mm CLEAR CRYSTAL BALL with 2 silver filigree scrolls and 15 smaller.. 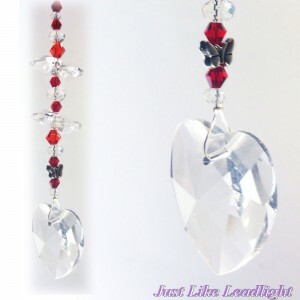 These cute little teddy bear suncatchers are hand made with a 30mm clear crystal body, with 4 ..
BEAUTIFUL SPARKLING LONG CRYSTAL SUNCATCHER CLUSTER. 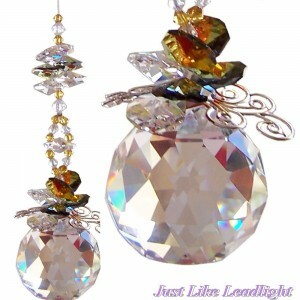 As pictured this is a georgeous suncat..